There are many different chess products available on market these days. 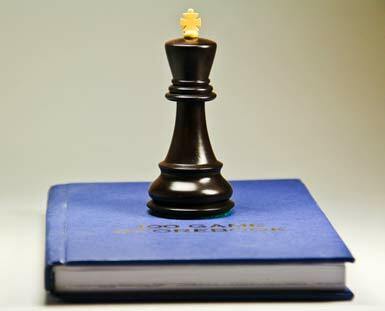 Hundreds of companies produce chess books, chess clocks, chess boards, chess pieces, chess notebooks, chess software, chess computers and just everything about chess. Do you really need to buy all these things in order to be a successful tournament player? Which things are must have and which are just luxuries? Keep reading to learn more. Chess boards come in different sizes, colors and materials made of. The price ranges also can differ greatly from about 10$ for a cheap vinyl board to more than 500$ for the official FIDE, computerized chess set. However, all the chess boards serve one purpose only: to play chess on it. A perfect chess board should have an appropriate size which isn’t too big or too small. The official rules of chess state that squares on the chess board must be between 50 and 65mm. The squares should be of “light” and “dark” color and very distinct (black-white, green-white, red-white). Another important feature of the chess board is its ability to sustain stress. You would think what? It’s a chess board not a running track. That’s true, but you can think of a chess board as a stadium for chess pieces. When players are playing blitz, or even a long time control game with the time running out, the players are tend to apply a significant force while making moves. If the board is thin, the pieces can fly away after the next punch move. We don’t want that to happen. So, the board must keep all the pieces on its surface even if a player punches a piece. What chess set do I suggest for a regular chess playing? Well, if you want something that you can carry around in a bag with you then a vinyl, roll-up set is good choice for you. If you want something a little nicer and heavier, you might prefer the classical wooden one. Once you have the perfect chess board you may want to get some pieces to put on it. The pieces are just like the chess boards come in different colors, shapes, materials and prices. There are sets available for $10s or $1000s. The difference between them may be quiet significant from the esthetic point of view. However, in this article we focus solely on the practical usefulness of chess products, meaning not how they look, but how they perform. The official ruling states that size of the chess pieces should match the size of the squares, meaning you should not use gigantic pieces on tiny board or the other way around. The size of the King’s base should be 1.25-1.3 times smaller than the size of square on the board. It means that its a good idea to buy chess board and chess pieces together, and see how they look together. Another very important thing you need to consider while shopping for chess pieces is the shape and color. You should pick chess pieces so that Rook’s do not look like Pawns and Bishops do not look alike with queens, which at the same time are no way to distinguish from the Kings. You got the point; all the pieces should look classical, and be either “dark” or “white”. Another characteristic of the chess pieces is its weight. The lighter a piece, the either it’ll be knocked down when touched. Semi-heavy pieces are preferred; they are called ‘weighted’. From the first impression all chess clocks are the same. However, this hypothesis is very misleading. A good chess clock is something that will make a “timed” game a pleasurable experience rather than a frustrating one. 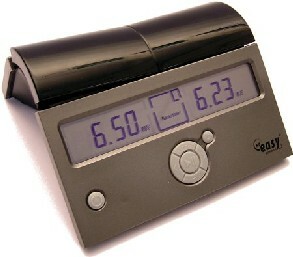 There are, of course many types of clocks available in online and offline stores. There are two main types of chess clocks exist: mechanical and electronic. I definitely prefer electronic clock, since they are much easier to read. Even when in time trouble a big LCD display is much easier to read than an ambiguous mechanical clock’s window with two hands. It’s very easy to know (with up to a second accuracy) how much time you have left with a single glance on electronic clocks. Electronic clocks don’t make any annoying ticking sound and cannot run faster for one side or for the other. Under standard tournament conditions it is a lot more practical to use this type of clock since it also gives you an option to use a time delay and increment, as well as automatic 40 move rule time add. There are maybe some old school players who would disagree and say that the only chess clocks that should be used are mechanical. I have nothing against mechanical clock, I have a pictorial collection of them in fact, but again for real games you would be better off with electronic clocks. If you are a chess player who plays in officially rated chess tournaments the chances are high that you have to record moves of your games. There are multiple options of move recording available. The simplest one is to use the official score sheets provided by the organizer. You write your moves down and submit a copy to the tournament director. If you are an amateur, often you don’t have to submit a copy of your moves, so it makes a lot of sense to get a chess score book which can hold 50-100 games in it. That way all your games would be attached together and you wouldn’t need to look around the house anymore when you need to find that game you played 6 months ago. Another option is to get an electronic move recording device which can be synchronized to the computer and copy all the moves. Personally, I prefer the score book option, but some people like these kind of technological advances. Don’t get surprised if you get suspicious looks from your opponents or even accused of cheating while using that sort of electronic devices. Chess software is also an important part of a chess player’s arsenal. Ideally, you need a few computer programs that would make your chess life easier and more enjoyable. First of all you need a chess engine. You can use it to analyze your games and to play against it once in a while. A good chess engine should have an ability to deeply analyze games and change its playing strength to match your level. There are many engines available these days. You can either go with commercial programs such as Fritz, Rybka or Chessmaster or save some money with Crafty and other open source ones. Another important chess program you need is a chess database. Ideally, after each game you want to analyze it and then enter it into you database (such as ChessBase). 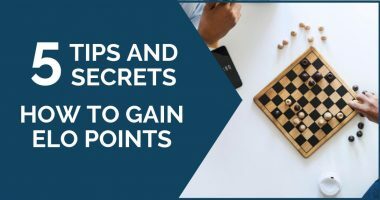 You can make comments on your games, find good and bad moves you played and missed and so on. Big chess databases with millions of games are available online on sites like ChessBase. Even though a lot of information is available online these days, it is makes sense to get chess books on the topics you want to improve. First of all, you should get a good endgame book, such as Dvoretsky’s Endgame Manual or similar. You will learn theoretical endings and will be able to understand that part of the game better. At the same time it may be a good idea to get an opening book or two on the openings you are planning to play. How to manage time in chess? Thanks for sharing your thoughts about chess score book. I absolutely agree. These are also must have things! It is important to get chess books on positional play or you will not improve beyond a certain level.